Last Thursday I spent the day at a Metro Exodus preview event in London. During this event, I got to spend five hours with the game, playing through three levels. In addition, I had the opportunity to interview Huw Beynon, Global Brand Manager for Deep Silver, the publishers of the Metro series. This interview touches on the game’s narrative, characters, PS4 Pro support and more. PSU: Metro Exodus will be the jumping in point for a lot of people, due to the 5-year gap between Last Light and Exodus. 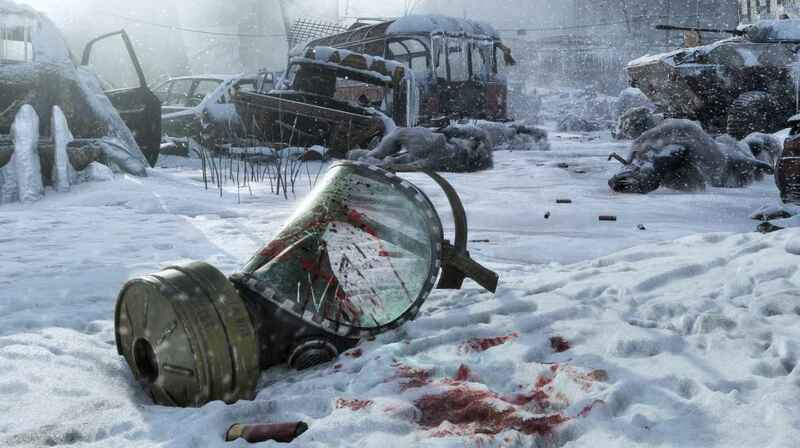 How would you describe Metro Exodus to that new player base discovering the franchise for the first time? Huw: The Metro series has always been this incredibly atmospheric, story-driven, post-apocalyptic shooter series. 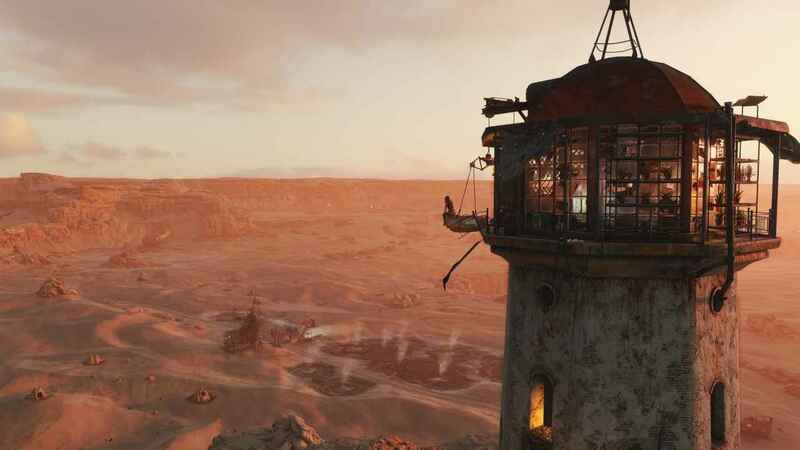 The first two were slightly more linear, set in the tunnels of Moscow; but, with Metro Exodus, the studio set themselves a more ambitious design goal of a journey across post-apocalyptic Russia. You play as Artyom, a member of the Spartan Rangers and you and a band of companions board The Aurora, this giant steam locomotive, flee Moscow, and embark across this journey across Russia. That journey will take a calendar year, taking you through all four seasons seeing diverse environments. You will encounter the surviving societies, mutants, creatures along the way to Destination Unknown. That is all we are giving away of the story so far. PSU: So, I can’t get any more information about the story? Huw: As I say its something that we really want players to experience when they play the game. You’ve got a good grasp of the combat, exploration, and survival but for me its the story that really ties all of this together. To do that you need to get to know the characters, understand what is at stake. I think this time around 4A Games have delivered their best story yet because you have this travelling band of companions who you form strong bonds with. It’s certainly their most emotionally powerful story yet. Anyone who is a fan of big, epic, story-driven games is really going to like this one. PSU: Would you say this game is more character-focused than the last two? As I have been playing, I have noticed there are a lot more developed side characters out in the world. Huw: We’ve really expanded the cast this time around. A lot of the game you actually play solo, you aren’t being followed around by an AI companion all the time. There are some missions where you will be playing alongside the other characters. The gameplay is predominantly solo, but you have this really rich cast of characters on the train. There are a number of characters that you will encounter and meet on the journey. Each of these large levels has its own self-contained story within it as well. It’s a sub-story within the overall story. And, in terms of dialogue, there are more lines of dialogue in this game than the previous two and all the DLC combined. It’s a really rich and detailed story. 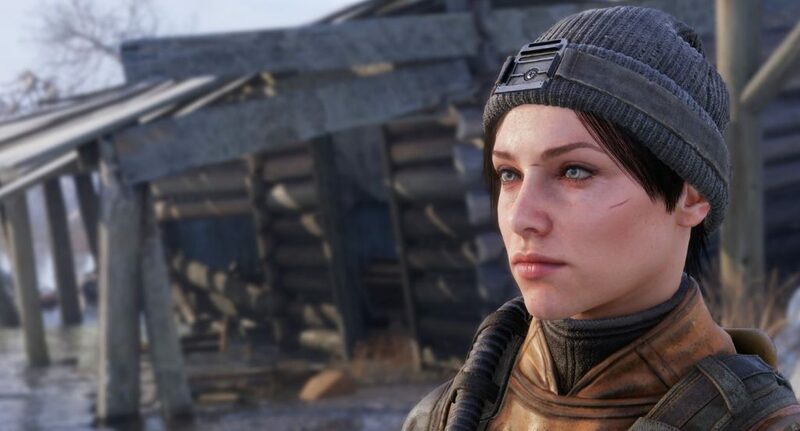 Characters are a huge part of Metro Exodus both in the world and the story. PSU: I’ve noticed that as I have been playing. Characters talk a lot more over the radio or just between each other. I have also noticed that there seems to be a lot more world-building, in terms of notes and audio diaries being left scattered around. Was building out the world something the team really wanted to push for? Huw: This idea of environmental storytelling has always been really important in Metro. We like to think that every location is hand-crafted. We have these large open levels, but they aren’t cookie-cutter, copy and paste environments. Every building, every abandoned village is set up differently. There will be something in the environment that will let you know maybe what happened to them. That is the visual environmental storytelling. We use the notes and audio diaries to effectively listen to the ghosts of characters from the past. 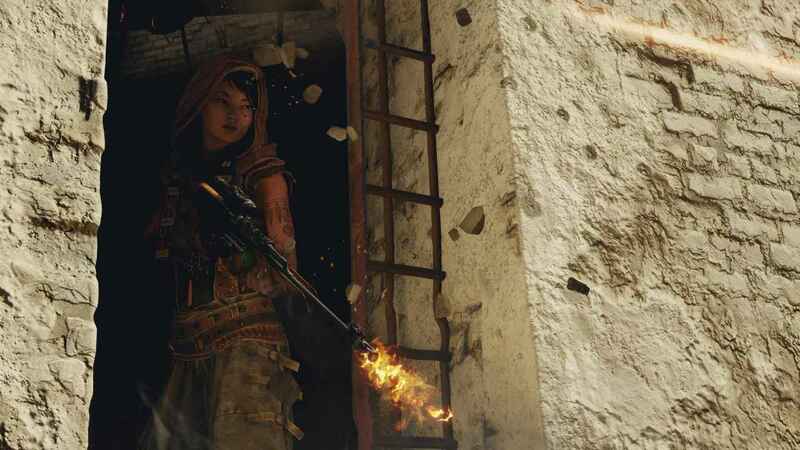 That is where we can weave a lot of the side content that Dmitry [Dimitry Glukhovsky, author of the Metro books that the series is based upon] has created into the game as well. PSU: I’m personally really happy that those collectibles are in the game as I’m one of those people who searches every corner, looting around for everything. In previous games, it was very much go from point A to point B, kill people, can’t really wander off into other directions. Metro Exodus seems much more flexible in terms of what you can do. Huw: We really wanted to reward the player’s sense of curiosity. The last two games did have stuff hidden away, but as you say, you can never really veer too much from the path. These big open levels give you a lot more freedom. You can see a location in the distance, you can explore it, maybe you will find a bit of loot there, some world building or audio recordings. Nothing is there just to tick boxes, everything has a purpose and there is always value in exploring and looking around. PSU: Has that freedom and player choice seeped into the linear levels by any chance? Huw: It really depends on how we are trying to control the pacing in that situation. One of the big challenges for the team was to create these open levels but still make it feel like a Metro game. In those linear levels you want to offer that freedom, but at the same time, you need that story pulling the player forward. We always try to let the player know what they need to do. Those linear levels are interspersed and allow us to play around with the pacing. We can up the tempo during those levels. It should be a real variety throughout. PSU: Even in the three levels I played today, they all feel very different. The Volga is a more guided experience. The Caspian told me to do whatever I want and go wherever I want. The Stagia with the Bear creature feels very much like the old Metro experience. You were in a similar dark forest. PSU: I share that sentiment as when I jumped into The Caspian I was very much taken aback by it. I felt like I didn’t know what to do or where to go. So, is that a mid-game level. Huw: Yeah, that is further on. It is a long-form experience. This is a game that is designed to be savoured and enjoyed over many hours. If you approach the game with the right attitude and mindset you will have a much better experience. The game hopefully teaches you to do that. I am glad that The Caspian is a mid-game level as it was definitely very intimidating just being thrown into it in this play-session. PSU: In terms of a slow burn, has that extended the length of the game compared to the previous two, or is it similar? Huw: It’s not like we set out with the idea that it has to be an epic game or anything but I think by default it has ended up being a pretty huge game compared to the previous ones. With Metro games, we are proud that there is no filler content in them. From our playtests the game is looking to be the size of both previous ones combined, around about 20 hours. It can be significantly more if you do all the side content, it can be less if you just put your head down and blast through. What we have feels about right, a good length for a story driven game. We want people to get to the end and finish it, rather than be overwhelmed. PSU: In terms of endings and the morality system, I’ve noticed that mechanic is back in this game. Is it more influential this time as I have noticed more of my decisions are set to have consequences the further into the game I go? Multiple endings are a staple of the Metro franchise and it is good to see them back. PSU: Do you know what support you will be offering for the PS4 Pro? Huw: I don’t know what the final specs for that are. All I know is that 4A’s engine is highly scalable. We are taking advantage of as much performance as we can on all hardware. Yes, you are going to see significant enhancements on Pro over the base PS4. I can’t remember off the top of my head what our resolutions are for each system. PSU: Final Question: Best game of 2018? Huw: Best game of 2018: Into The Breach. It’s awesome I have got a massive crush on Advance Wars and it just scratched my strategy itch. PSU: Thanks for sitting down with me and answering my questions! What to know more? Check out 6 exciting new things I discovered during the first five hours of gameplay. Metro Exodus launches for PlayStation 4 on February 15, 2019.